Tokai Gakki Co., Ltd., often referred as Tokai Guitars Company Ltd., is a Japanese guitar manufacturer founded in 1947 and situated in Hamamatsu city, Shizuoka perfecture. Tokai Guitars produces acoustic guitars, electric guitars, electric basses, autoharps, and melodicas. 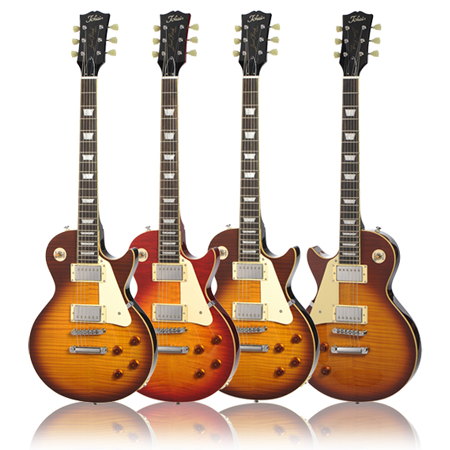 Tokai have built a lot of Gibson and Fender replica models over the years such as the "Love Rock Model" and "Les Paul Reborn" Les Paul replicas and the "Springy Sound" Stratocaster replicas and the "BreezySound" Telecaster replicas. Tokai have also made a lot of Gibson and Martin Acoustic model replicas. In 1965 Tokai started making classical guitars and in 1968 started making the Hummingbird electric guitar models and in 1970 started making the Hummingbird Acoustic models. Brian May from Queen uses a Tokai Hummingbird Acoustic on some recordings. In 1972 Tokai went into a joint venture with C.F._Martin_&_Company to supply Acoustic guitar parts and also build Martin's solid body Sigma guitars. In 1973 Tokai started making the "Cat's Eyes" Martin Acoustic replicas. In 1983 Tokai started making a metal body guitar called the Talbo which the band Devo played at one time. The Tokai "Les Paul Reborn" Les Paul replicas started around 1976 and around 1978 Tokai changed the name from "Les Paul Reborn" to "Love Rock Model". Tokai also made Fender replicas starting in 1977 and Stevie Ray Vaughan played a "Tokai Springy Sound" Stratocaster replica at one time. Billy Gibbons from ZZ Top and Robert Fripp have also played Tokai guitars. Tokai have their own instrument making factory and have built guitars for lots of well known brands (OEM).